This year's full-size pickup truck sales are surging, driven at least in part by increased U.S. oil production, according to Ford chief economist Emily Kolinski Morris. But new pickups sold today are far more fuel-efficient than those offered even a couple of years ago--and the highest ratings of all go to the 2014 Ram 1500 EcoDiesel. With several months of sales under its belt, Chrysler says many owners of the only diesel light-duty pickup are getting even better fuel efficiency than the EPA ratings. 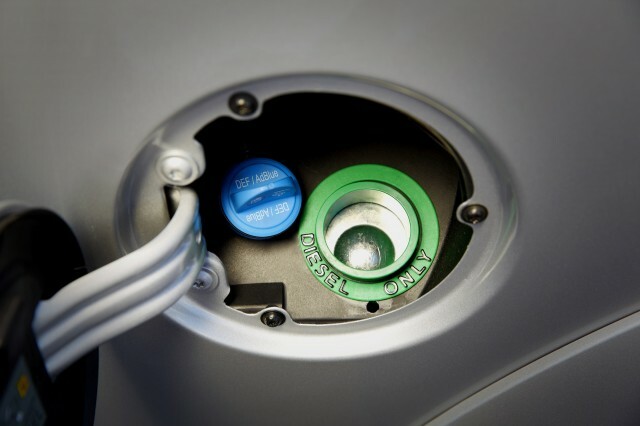 Ram brand director Bob Hegbloom told trade journal Automotive News that drivers are "taking screen shots (of the fuel economy gauge)" to brag about their mileage. 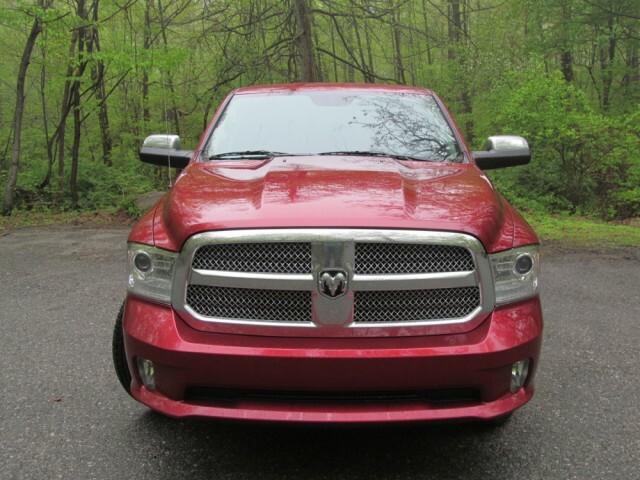 Third parties have said they are doing far better than the Ram 1500 EcoDiesel's 28-mpg highway rating. 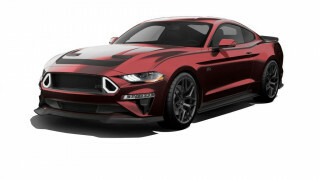 That number was validated by Motor Trend magazine in a pre-production vehicle last fall. "We've got people out there who are saying they are getting into the low 30s consistently with their truck," Hegbloom himself bragged. That's not unknown for diesel cars; Volkswagen Jetta TDI owners have been bragging for years about outdoing their window-sticker numbers. ALSO SEE: Volkswagen Jetta TDI: Much More Mileage Than EPA Admits? 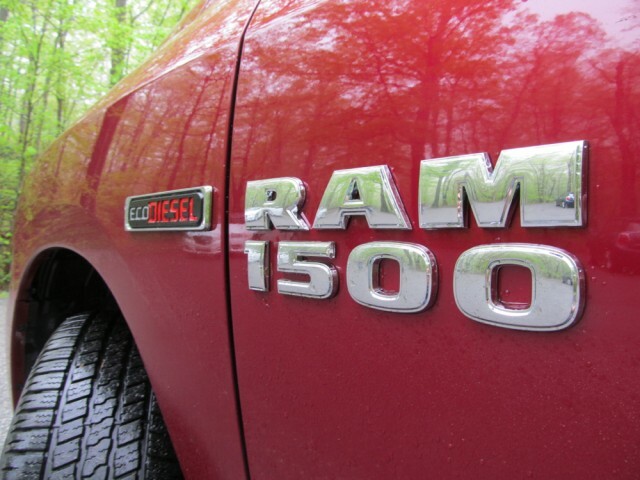 The 2014 Ram 1500 EcoDiesel is rated at 23 mpg combined (20 mpg city, 28 mpg highway) with rear-wheel drive only. The four-wheel-drive model of the same truck comes in at 22 mpg combined (19 mpg city, 27 mpg highway). The diesel Ram pickups use a 240-hp turbodiesel V-6 mated to an eight-speed automatic transmission. The diesel puts out a substantial 420 lb-ft of torque. By way of comparison, the most fuel-efficient gasoline Ram 1500 model is the 2014 Ram 1500 HFE, available only with rear-wheel drive. Its 3.5-liter Pentastar direct-injected V-6 and eight-speed automatic are rated at 21 mpg combined (18 mpg city, 25 mpg highway). And, unlike diesels, gasoline engines are not known for delivering higher highway mileage than their EPA ratings.